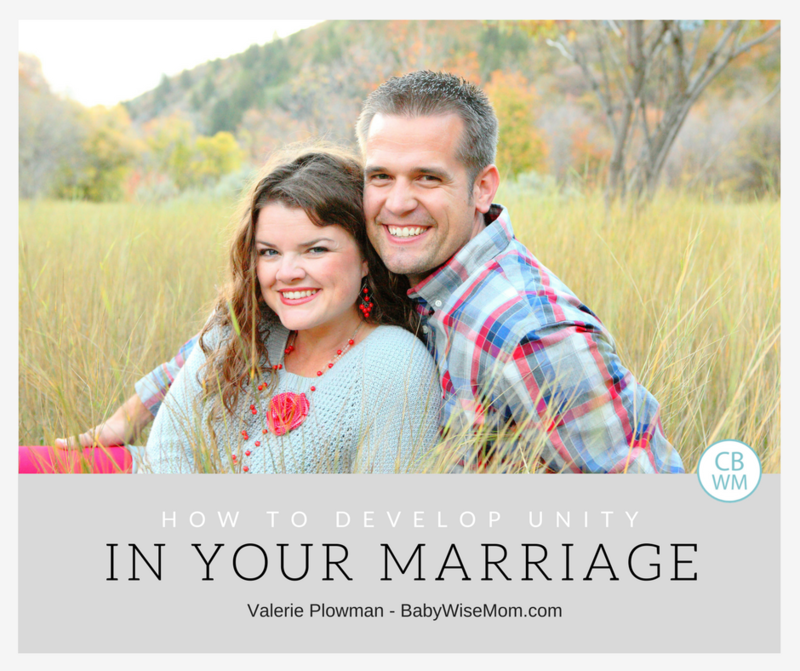 How to Develop Unity In Your Marriage. Four ideas to develop and maintain love and unity in your marriage relationship. Marriage tips and advice. In a church lesson once, we learned that 1+1=1. Huh? Was the teacher really bad a math? No. He was talking about the marriage relationship and how we should be one. Genesis 2:24 commands husbands and wives to be one. I am a person who believes that when I obey the commandments of God, I am happy–truly happy. I also believe that the Lord gives commandments for our benefit. So when I read this commandment to be one, I believe that if I do this, I will be happy and it will be for my benefit. How do we become one? How do we take two people who were raised by different people, who have different customs, different likes and dislikes, different quirks, different strengths and weaknesses and become one? Here are some ideas. In our marriage relationship, we must be equal partners and value each other for what we have to offer to that partnership. Now, I don’t think being equal partners means we each do the exact same things. If you are business partners with someone, you don’t both have the same tasks. You take on roles to fulfill. I think this is also true for a marriage relationship. Decide which roles each of you want to fulfill to make your partnership work best. There will be times you will help each other with roles. There will likely be some roles that you both do. For example, you might both take care of the children while both of you are home. Maybe for the bedtime routine, one of you puts on or watches over the putting on of pajamas while the other brushes or watches over the brushing of teeth. Maybe one reads stories; maybe you alternate nights reading stories. Whatever it is and how you do it, make it work for both of you. Then view each other as equal partners. One person should not be the subordinate to the other. As equal partners, work together to make sure your family has prayer, scripture study, and attends church as you desire. Work together to meet the goals you set in these areas. As partners, plan family activities together and work as a team around the home. Work together as partners over the finances. I will discuss finances in further depth in a later post. For now, just focus on being partners over the finances. Divide the work as you see fit. Maybe one of you is better at tracking expenses. Maybe the other is better at foreseeing expenses and outlining a savings plan. Make sure you keep each other “in the loop” as to what is going on, and make financial goals together–as a team. Finally, here is an important idea for becoming equal partners: decide on household rules together and agree on how to discipline children. You want your children to see their parents as a unified front. This whole process is harder in practice than it looks on the surface. Sure it sounds like a good idea, but it takes effort to implement. You and your spouse grew up with different rules. You grew up with different life experiences. You are each going to take these experiences with you as you enter your role as parent. There will be things you definitely want to emulate from your parents. There will be others you want to completely avoid. You might find yourselves faced with one of you wanting to do something and the other one adamantly against it. Remember the idea to train in times of non-conflict with your children? 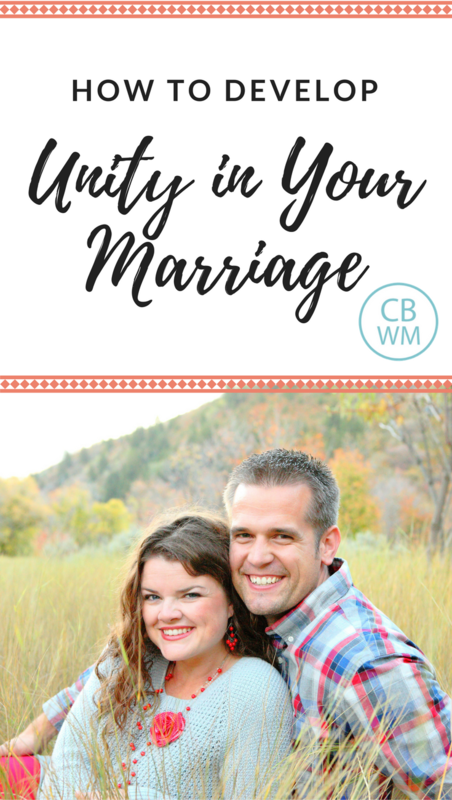 Try to discuss these issues with your spouse in times of non-conflict. Make your decisions before you have to put them into practice. Of course, there will be times when one of you is home alone with the children and you need to respond to a situation that might not have been previously discussed. It is hard (impossible?) to anticipate every move that will be made by your children. Try to keep each other informed as much as possible of actions made throughout the day. Remember, you are partners. I think it helps tremendously if you get to know your spouse. Get to know what makes him tick. Why does he do what he does? What does he like? What does he dislike? What are his motivations and goals? What life experiences have gotten him where he is today? What are his strange quirks (you know he has them!)? I think this is one of the most amazing thing about a marriage. As one person, you have a lot of flaws. All of us do. Sure, we have our strengths and maybe we are pretty neat overall, but we still have a lot of flaws. So does our spouse. Our spouse has a lot of flaws. We get to know these flaws better as we come to know each other. Now comes the amazing part. If you take a look at your flaws and weaknesses, you might notice that a lot of those happen to be strengths of your partner. Many of your strengths are the opposite of the weaknesses of your spouse. As one person, you are quite incomplete, but as a couple, you are a lot closer to completion. Sometimes, traits might be neither strengths or weaknesses in general, but can act as one or the other in certain situations. We can also help balance each other out in some of our extreme tendencies. I will give you some examples from my marriage. First, an easy one. My husband is very good at math. I am very good at communication and English skills. Together, we will be able to help our children with homework in a more rounded way than we could alone. If I were solely in charge of helping with homework, math would start to suffer–probably sometime late in elementary school :). What about some differences that aren’t really a strength or a weakness? My husband is a very outside the box thinker, while I am more in the box. Both ways of thinking can be good. Only looking at situations one of the ways can make things more difficult. My husband comes up with great ideas and is great at problem solving in new ways. But a lot of the times, he doesn’t see the tried and true simple way of doing it. I am great at thinking up all of the best ways something has been done and is usually done. But a lot of time times, I can miss out on new ways of doing things because I am so focused on what the rules are. Together, we are able to come up with really good ideas and implement them in the easiest way possible. He doesn’t have to reinvent the wheel and I can get fresh ideas. My husband is also very spontaneous and not a planner in the least. Everyone who knows me even a little knows I plan far in advance and plan things very well. These traits can obviously conflict at times; but it is fun for me to learn to be spontaneous at times (even if it causes me stress) and my husband has seen the value in planning ahead. We help to bring each other to middle ground instead of on far extremes. What does loyal mean? Do you think of words like faithful, true, and trustworthy? When you think of being loyal to each other, what categories do you apply loyalty to? I would guess there are many who think of loyalty only on a physical level. Yes, that is a good form of loyalty, but definitely not the only one. I believe you need to be loyal in all areas of life. I believe you need to make sure that no job, no hobby, no friend, no family member, no TV show, etc. takes precedence over your spouse. Your spouse is number one. What does this mean? This means you might make sacrifices in order to be there for your spouse when needed. This means you are willing to listen to your spouse even if there is a really good show on TV at the moment. This means that you don’t complain about each other to friends or your mom. I have a friend who married a man with a really wise mom. This man once went to his mom early in their marriage. He started complaining to his mother about his new bride. His mom told him not to talk to her about his wife like that ever again. She wouldn’t listen to his complaints. I think that is a great mom! Now, I think loyalty needs to be applied with respect for each other. Say you really want to talk to your spouse about something, but you know how much he loves XYZ show. You could pout and inform him that if he were truly loyal to you, he wouldn’t watch the show, he would talk to you. However, you can probably wait until after the show to talk to him. Sometimes, you won’t be able to wait, and in that case, he can miss XYZ show. Loyalty doesn’t mean you have no other friends or hobbies. You still need to allow each other to have hobbies, but the hobbies don’t trump the marriage relationship. I think a good rule to live by is to spend your time and efforts more concerned for the well-being of your spouse than for yourself. If you both do this, you will both be happy! Not only will you be less concerned with your own happiness and thus less selfish, you will both be working to make sure the other person is happy, so needs of both of you should be met. Work to be unified–yes, it takes work. Pray for each other and with each other. Value each other as equal partners. Get to know each other and accept each other as you are. Work to mesh your strengths and weaknesses to create one strong front. Be loyal to each other and love each other. By doing these things, you can be unified and help your family to be happier and stronger. Ideas for this post taken from the Marriage and Family Relations manual as well as my own head. I totally just taught this lesson a couple of weeks ago! 🙂 It is a good reminder though… a good marriage takes constant effort from both people. Amy, it is true, DVR is great. For so many reasons! Thanks!! That is so much great information and I will make use of it! I love your blog and you have helped my family out so much already!